The Sun breached the Editors’ Code by publishing a “significantly misleading” front page headlined “1 in 5 Brit Muslims’ sympathy for jihadis”. The paper was ordered to publish a critical adjudication by the Independent Press Standards Organisation no further back than page five. A Times story headlined “One in five British Muslims has sympathy for Isis" was also found to be inaccurate. But no further action was ordered against The Times because it had already published a correction. The Muslim Engagement and Development group complained over the 23 November Sun story, which prompted “a large number” of complaints. The article reported the results of a poll and said “nearly one in five British Muslims has some sympathy with those who had fled the UK to fight for IS in Syria”. It noted that the survey showed that “a clear majority of the 2.7 million Brits who follow Islam are moderate”. The article was illustrated on the front page with a photograph of Mohammed Emwazi, captioned “Support…Brit Jihadi John who went to Syria”. The complainant said that the newspaper’s presentation of the poll was misleading. The poll question about sympathy had referenced those “who leave the UK to join fighters in Syria” it said and noted that the possible answers did not mention IS. It said that those who responded to the question might not have intended for their answers to be understood as relating to those fighting against IS, alongside anti-Assad forces or for various Sunni groups. The complainant also said that the relevant respondents to the poll had agreed that they had sympathy “with” those leaving the UK, not sympathy “for” them. And it was noted that earlier polls, commissioned by other organisations, had also polled non-Muslims and had found that the level of sympathy for those leaving the UK to fight in Syria were similar among the two groups. 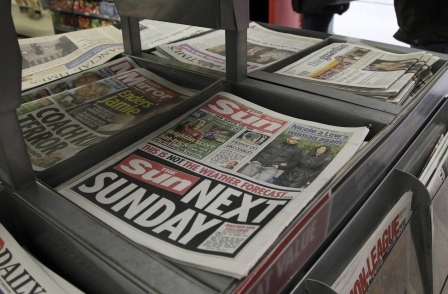 The Sun denied breaching the Editors’ Code and insisted that the story was not misleading. But IPSO said: “While the newspaper was entitled to interpret the poll’s findings, taken in its entirety, the coverage presented as a fact that the poll showed that 1 in 5 British Muslims had sympathy for those who left to join ISIS and for ISIS itself. 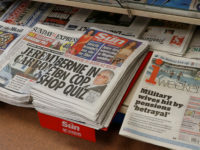 IPSO said its adjudication should appear on pages four and five, where it says most of The Sun coverage was, rather than the front page (where the misleading headline appeared). Following an article published in The Sun on 23 November 2015 headlined “1 in 5 Brit Muslims’ sympathy for jihadis”, Muslim Engagement and Development (Mend) complained to the Independent Press Standards Organisation that The Sun had published inaccurate information in breach of Clause 1 (Accuracy) of the Editors’ Code of Practice. IPSO upheld the complaint and has required The Sun to publish this decision as a remedy to the breach. 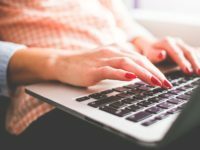 The article reported the results of a poll commissioned by the newspaper. It reported that “nearly one in five British Muslims [had] some sympathy with those who had fled the UK to fight for IS in Syria” and was illustrated on the front page with a photograph of Mohammed Emwazi, captioned “Support…Brit Jihadi John who went to Syria”. 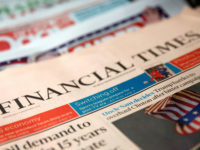 The coverage continued on pages 4 and 5 of the newspaper and included an article by a columnist for the newspaper, describing her reaction to what she presented as the fact of support for IS, and an article by the newspaper’s political editor, which noted that 19% of UK Muslims have “some sympathy with those like Jihadi John”. The newspaper did not accept that the meaning of “those who leave the UK to join fighters in Syria” was ambiguous. It said that previous questions in the telephone survey had made explicit reference to IS, and the overwhelming majority of those who leave the UK to join fighters in Syria are joining IS. It said that the sentiment of “sympathy” in the sense of regret or sorrow was still sympathy. The newspaper emphasised that its coverage of the poll went beyond the front page story. It had included the questions in full, along with comment from two positive Muslim voices. In assessing the accuracy of the newspaper’s interpretation of the poll results, the Committee considered the entirety of the coverage. The newspaper had provided various interpretations of the poll result. These didn’t make sufficiently clear that there were important distinctions between those travelling to Syria and those already fighting in Syria; between “sympathy” for these individuals and “support” for their actions; and between individuals attracted by the ideology of IS, and the ideology of IS itself. Taken in its entirety, the coverage presented as a fact that the poll showed that 1 in 5 British Muslims had sympathy for those who left to join ISIS and for ISIS itself. In fact, neither the question nor the answers which referred to “sympathy” made reference to IS. The newspaper had failed to take appropriate care in its presentation of the poll results, and as a result the coverage was significantly misleading, in breach of Clause 1.